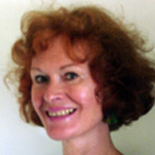 Maggie Lyons is a freelance writer and editor who was born in Wales and crossed the pond to Virginia. A career that included writing and editing marketing, media relations, and educational nonfiction for adults brought plenty of satisfaction but nothing like the magic she has recently discovered in writing fiction and nonfiction for children. Several of her articles, poetry, and a chapter book have been published in Stories for Children Magazine and knowonder! magazine. She hopes her stories encourage reluctant young readers to turn a page or two.